Gangster Dutch (Harry Reems) has just been left by his regular dame, Jessie (Cara Lott). With the third annual 'Gathering of the Brotherhood' merely weeks away, Dutch is desperately in need of a new girl. 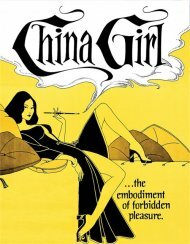 Upon being introduced to the beautiful Katherine (Ginger Lynn), a cigarette girl working at the hottest speakeasy in town, The Paradise Club, Dutch is immediately smitten but soon discovers to his dismay that Katherine is a 'good' girl. Determined not to let her get away, Dutch enlists the help of Rita, a rough broad, who also happens to be the favorite squeeze to rival gangster Louie (Herschel Savage), to transform Katherine into the perfect Trashy Lady. Nominated for 6 XRCO awards, including best director (Steve Scott), and featuring AFAA award winning cinematography by Tom Howard as well as an AVN award winning performance from Reems, Trashy Lady is a light hearted and elegantly made journey through the sexcapades of the Roaring Twenties, which is coming to Blu-ray for the first time, newly restored from its original 35mm negative. - First ever audio commentary with DP Tom Howard, moderated by filmmaker David McCabe. Review "Trashy Lady (Blu-ray + DVD Com"
Reviews for "Trashy Lady (Blu-ray + DVD Com"